Exactly 200 years ago, on 18 July 1814, building began on the road through the Blue Mountains. Originally thought to be impassable, it was a monumental task, but it opened up the western plains and huge tracts of pastoral land beyond. The railway across the Great Dividing Range was completed in 1869, and was considered one of the engineering marvels of the world. It was crucial in transporting thousands of miners to the gold fields of Hill End, where I have made most of my work in recent years. 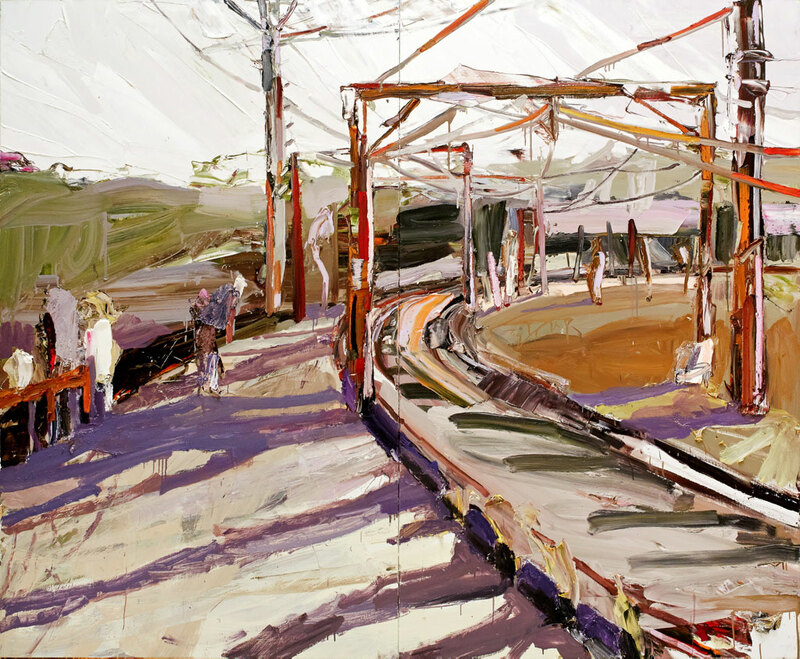 I painted this en plein air in one day beside the tracks, until a rail guard moved me on.